When it comes to owning a business or an apartment complex, perhaps no part of the building is of greater value than the roof. The best roofing jobs are done by a professional roofing company with people who have had experience doing the job for years on end. Shelton Roofing is a professional roofing company in Menlo Park, CA and has an excellent pedigree in customer satisfaction. Shelton Roofing has done roof repair for a variety of different customers, both residential and commercial, and has a well-established rapport in the community. If you have problems with broken shingles, tiles, metal roofing, or leaks in the roof of your business or apartment building, it may be time to give Shelton a call and have a team of contractors come out to take a look at your roof. Shelton has experience repairing and replacing all kinds of roofs, from shingles, tiles, synthetic, wood, and metal and can construct a new roof for you in a timely fashion. If you’ve experienced leaks or other problems coming through the roof, don’t wait any longer before damage is done to your business or property of tenants living in your apartments. You should call Shelton immediately so they can have your problems addressed, and your schedule can get back to normal as soon as possible. Shelton can work with all kinds of roofs, whether they are gabled on steep slopes, or flat-topped roofs. Shelton understands that you may need to have roofing done in certain styles that fit your business needs, and they can work with you on the blueprints to make sure that the repair, or the finished product matches what you need for your buildings. Shelton will make sure you get the best deal possible for the costs of materials, labor, and time sensitive projects for your roof construction or re roofing projects, and will not charge you any extra hidden fees for unnecessary things. Shelton also carries insurance to make sure you are not held liable for any injuries that might happen to a worker while on the job. 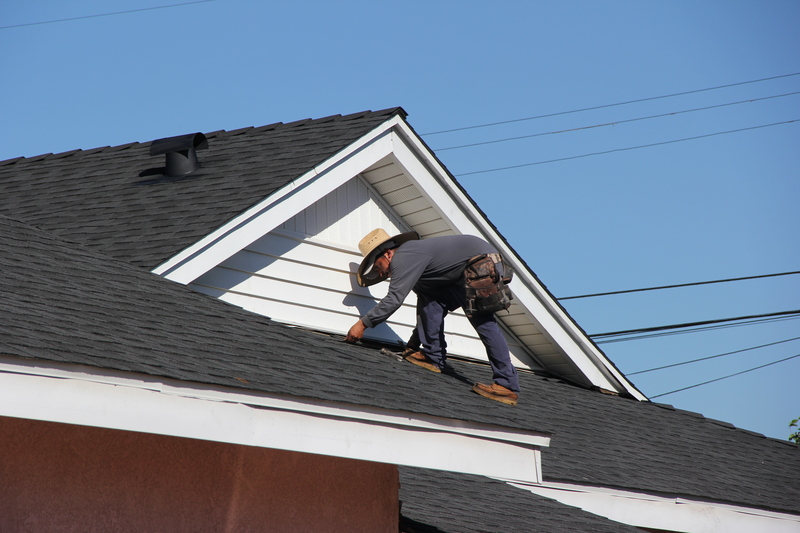 If you’re a business or apartment complex owner, you might have high rises out in the Sunnyvale, Palo Alto, or Menlo Park areas and if that is the case, you want to make sure the workers are covered while working from some dangerous heights. If you already have insurance or are unsure what all Shelton’s insurance policies cover for such projects, feel free to contact Shelton for more information about that. Still unsure whether or not to hire a Shelton Roofing contractor for roof replacement, you can find customer reviews on their website and read what they have to say about the work Shelton has done. Emergency roof repair can be a stressful ordeal when a storm or earthquake damages your business or apartments, but Shelton will be on the scene ASAP to make sure your roof is back up and keeping your building dry. For more information call the number or fill out the contact information on the website to see how Shelton Roofing can help you today.